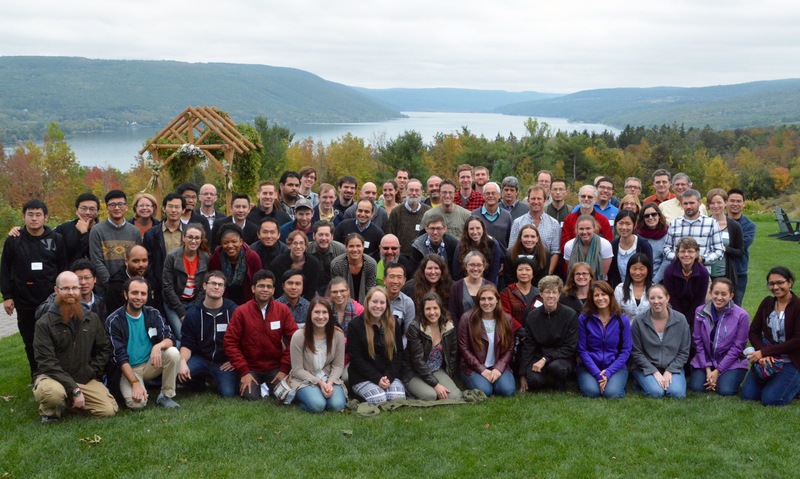 On October 6, 2015 the Department of Biology held our annual Fall Retreat at the gorgeous Bristol Harbour Resort in Canandaigua, NY. Lush foliage, hiking trails, and wineries enchanted our faculty, students, and staff. Keynote speakers were Dr. Xuetong (Snow) Shen, MD Anderson Cancer Center, “Returning to the basics: From histones to Actins”, and Dr. Robert Unckless, Cornell University, "Convergent balancing selection on an antimicrobial peptide in Drosophila". The day concluded with a poster session and prizes.